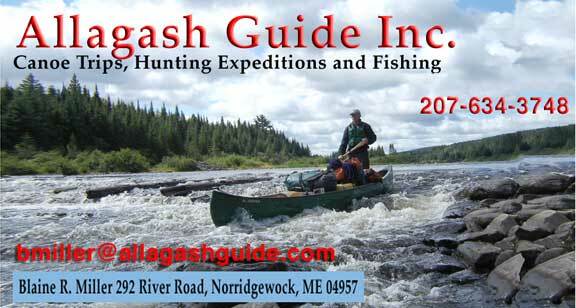 Allagash Wilderness Waterway – Allagash Guide Inc. Trips on the Allagash vary in length from five to seven days. The traditional will begin at Chamberlain Lake and continue 90 miles to Allagash Village, or to the town of St.Francis on the St.John River, 12 miles down river from the intersection of these two great rivers. Alternative trips are from Allagash Lake to Churchill Dam, or Indian Stream on Eagle Lake to Allagash Village. Highlights of this trip are wildlife sightings such as Eagles, Ospreys, Moose, Deer, and Bear to beautiful lake and river scenery, unsurpassed in Maine. Allagash Falls is spectacular at higher water levels. White water canoeing, CLASS I and CLASS II, is found from Chase Rapids to the varying channels of the lower Allagash.This white water will challenge all skill levels, and is particularly well suited for beginner and intermediate canoeists. Portages are short and usually only a few hundred yards at Allagash Falls, or 150 feet at Churchill Dam. Fishing for Trout and Lake Trout can be rewarding earlier in the season, particularly at Allagash Lake. 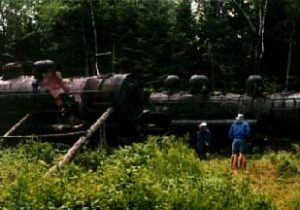 History of Maine’s logging days is everywhere from the Tramway and Locomotives on Eagle Lake, to the settlement at Churchill Dam.